BARRANCO DE BENIOPA, GANDÍA (VALENCIA). AGÈNCIA D’HABITATGE I URBANISME DE GANDÍA S.L..
ADVANCE OF THE MASTER PLAN AND URBAN PROJECTS OF BENIOPA’S CANYON AND HIS AREA OF INFLUENCE. 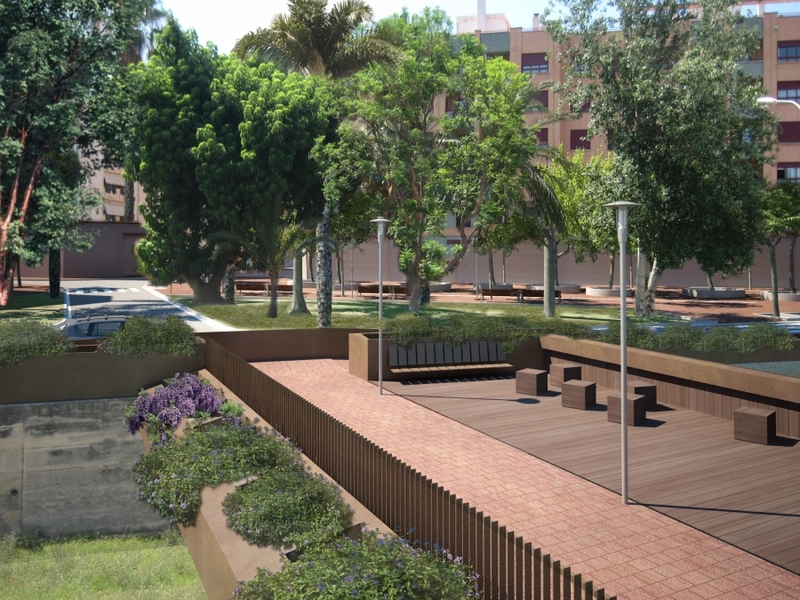 The aim of the master plan is to rearrange and improve the urban quality of the area influenced by the Beniopa’s Canyon as it passes through the city of Gandia. The scope of the project covers a length of 2.5 km along the ravine. • The creation of a longitudinal itinerary parallel to the ravine with pedestrian and bicycle priority that forms a sort of pathway alongside the ravine as it crosses the urban area. • The consolidation of transversal connections through Urban sutures that will transform the image of the urban limit. • The creation of singular meeting places within the pedestrian network, which we call Urban staples, and that serve as small squares, encouraging social relationships at a neighbourhood scale and becoming poles of attraction. Each of the five sectors will consist of the three kinds of intervention, which will keep a unitary image throughout the project. 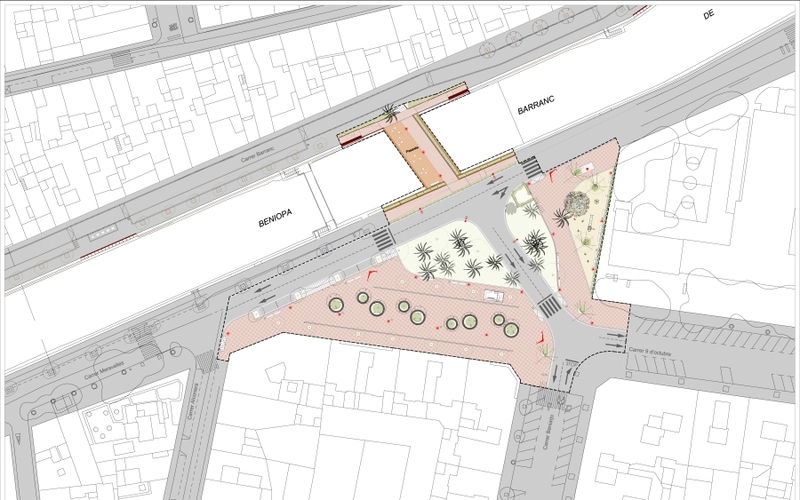 So far the two first sectors of action have been developed at urban project level, and the first phase of sector 1 (semi-pedestrianization of the Barranc street) executed.